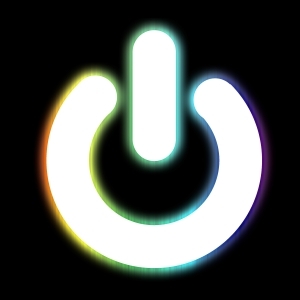 Home › Social › Power On! Oh boy, I don’t know where to start, I have even lost count of the days. The past few weeks were a personal record in being the busiest time in my career. Changing jobs is not easy to be honest, and I had to put a lot of effort to create momentum. However, once momentum is created, it gets a bit better in terms of effort spent to keep the ball rolling. Ramadhan was not a time for a person like me to find time to do anything. Imagine yourself in my shoe. I have a new job, I need to fast, it is extremely hot, I need to keep up reading one chapter from the Quran a day, I need to see my wife and kids, I need to visit friends and family members, and, I need to put some kilometers in training for half distance triathlon in Budapest. Oh, and last but not least, Ramadhan for a person with diabetes is already a full plate to handle. In total, I missed 10 out of 30 days of fasting due to hypoglycemia et al. To be honest, when you’re that busy, you will not be able to do your work like the way you wish. I wasn’t able to visit all my family members, I didn’t give my wife and kids enough of my time, I didn’t do proper training, and I only finished reading 29 out of 30 chapters in the Quran. I know what you will say, and I say it to myself either, this is expected and every human being would not be able to perfect a scattered mind. What to do, I don’t really have a choice. I noticed that I could be doing a lot of work and accomplishing a lot if I don’t visit friends or have an elongated chat with any. However, I do believe that relationships are a vital factor of a successful life. But I can’t waste my time, yet I have to give the comfort to every individual I speak to about topics not related to work, which is really very difficult. I try to keep my discussions always productive, but I know that my friends would notice that I don’t give them much room to sway away in their discussions. I need to keep moving, otherwise I won’t be able to meet due dates in tasks. I’m a firm believer that using technology wisely might save you a lot of time. Technology can be your automated and mechanical personal assistant. But here’s the problem, I just read few days ago an article that says students who take notes in class using their hands learn much better than those taking notes with their laptops. With a variety of reasons, I believe that depending on technology may evolve our brains into becoming less useful, less powerful, and more dependent. Perhaps, but that’s not what I want. You see, the good thing about having nothing to do is that you won’t get old very quick. You will actually take your time with time. You may even have time to work on your wrinkles and keep fit and looking young and healthy. And us, the busy people, we grow old very fast, and time just flies by. We want time to stop and give us a breather, but it doesn’t, so we play harder trying to catch those ticking seconds. It feels like minutes are banging on our heads, racing their way and keeping us tired in the rear. Those minutes are constant in pace, and we get slower and slower with time. Oh well, in life, there is a list, and then there is a wish list. The best thing to do I guess if you are this busy, is to make sure that whatever you’re doing is something that improves and develops the environment you’re living in. Yes, personal satisfaction can sometime suffice. Keep a good smile and power on! Very true to the core…but we need to take a breather as well so that cells in our brain, heart etc are resting, relaxing and recovering from the stress we put them in.